In August, 2012, I wrote this post. This is where we come from. Between then and now has been a lot of patience, a lot of learning, a lot of reading. A LOT of learning. To move from that place of fear to this moment in time, I had to trust TJ with eating. It wasn’t easy. It sounds easy. It’s not. I had to learn that my job is to provide the food. It is not my job to get TJ to eat. Trust was hard to come by when my son said he wasn’t hungry and his weight was sliding south on the growth charts. Trust was hard to come by when he was congested or sick and had no appetite. I had already figured out that trying to make him eat more, made him eat less. Trust was all I could do, and I hung on with both hands. Today, I dragged my neglected bread maker out of the storage cupboard to see if I could successfully create something that resembled a dinner roll. Two and a half hours later, my house smelled of freshly baked bread and dinner was on the table. Fish, chips and a dozen muffin-shaped buns. TJ wanted nothing to do with them. “I’m not ready yet,” he says. Any food can be scary, even something as benign as bread. TJ ate half a dozen French fries, drank a glass of milk, and called it a meal. These are the meals when trusting TJ with eating is hard. I know he ate reasonably well (for him) at lunch (6 hours ago). Familiar worries creep into conscious thought. Fortunately, these worries are now answered with sensible reason. Surely, he must be hungry? Only he knows how hungry he is. He has to eat! You put food on the table he can eat. He should try one of the bread roll muffins. It is his job to decide how much to eat. 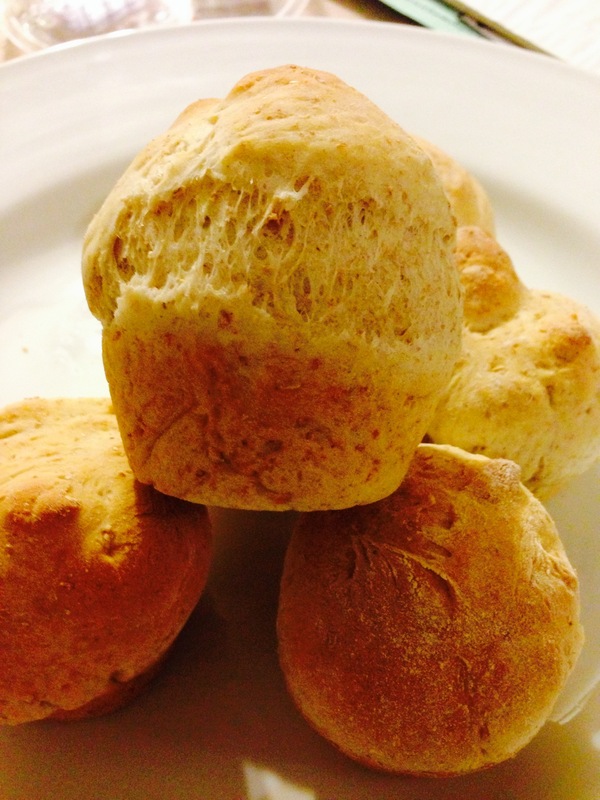 My husband, daughter, and dinner guest remarked at how delicious the buns turned out – (they were tasty!) “I’m not ready,” TJ says again. The conversation is very casual. Factual. I’m imparting information while respecting his decision. The rolls are available, he can have one (or not) if he wants to. At bedtime, TJ tells me he can’t sleep because he’s hungry. He wants to know what happens if his stomach stays empty for a long time (like overnight). I tell him hunger makes it hard to think, makes it hard to make decisions. Hunger makes it easy to become frustrated and makes us fatigued. Hunger has that effect on everybody. A full tummy makes our body work properly. A hungry tummy makes us cranky. I ask if he wants a ‘butter butty muffin’. He can say no, there are other options. Wait, what did he just say?? You’ll need a bread machine and a 12-cup muffin tin. 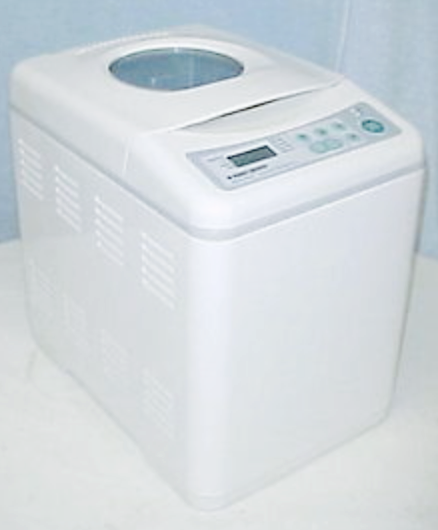 Add all ingredients to the bread machine chamber in the order listed. Select Dough cycle. Divide dough into 24 balls. Grease muffin tin. Place 2 dough balls into each muffin cup. Cover, and let rise in a warm place until doubled in size (about 30 minutes). Bake in pre-heated oven at 375F for 15-20 minutes. Serve with butter, jam, chocolate milk syrup (Miss Adventure discovery), or your own delicious creation. Oh… and trust. ah! i love this post!!! This post just gives me hope. My 10 year old daughter was just diagnosed with ARFID a week ago and we meet our therapist on Monday. We have felt helpless to help her for years and are feeling anxious about everything at the moment. Hang in there! Good luck with therapy – some tips to help you navigate that path.